« I’m not going to make it! On a day that I thought I wouldn’t have to ride, I ended up riding 50 km just trying to find the Amtrak station. First I followed the signs. Then the signs stopped and I was 6 km out of town on a long quiet rural road battling a serious headwind. “This can’t be right.” I muttered to Tony. Tony shrugged. So we turned around and rode back into town to where on the map I thought the station would most likely be. It wasn’t there. (During this wandering, we got a nice tour of Lompoc, which of course was my intention all along. Lompoc has the makings of what could be a really great cute small-town – even without having world famous pea soup – It just needs to have the right people and enough jobs. Unfortunately, it doesn’t seem to have either.) So, we stopped and I asked for directions at a petrol station. The kid working there looked at me like I was crazy. He was indicating the road Tony and I had just finished doubling back on. Inside me the little man was screaming bloody murder. 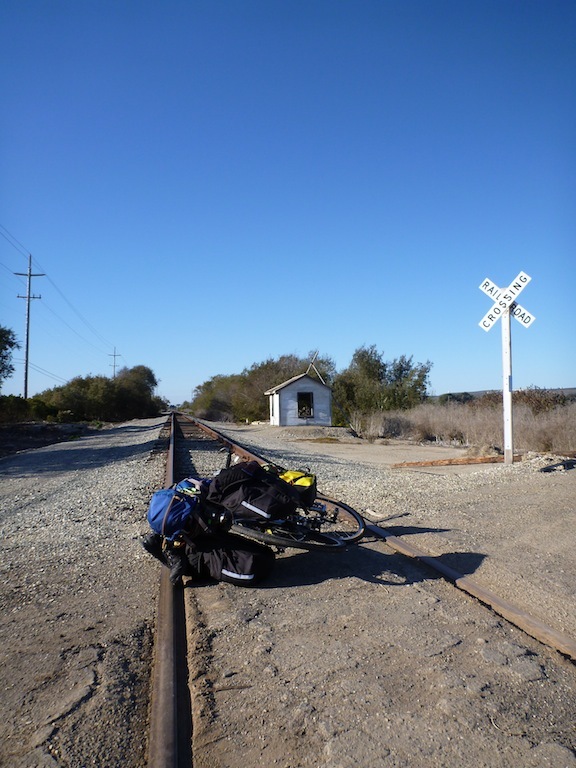 Finally, what I did get out of her was that getting to San Francisco would not be as simple as hoping on the next northbound train and riding it to the Golden Gate in time for a late dinner. Instead, I’d have to go south back to Santa Barbara, and the next day get a train/bus option (or just a bus option) up to San Francisco arriving in time for a late dinner. Are there strange people like this all over the world, and it’s just lost in translation for me when I’m traveling? Or are Americans a breed apart? In any case, Tony and I were on our way. And once again, it was the wrong way.